Long Beach has scrapped a proposal to sweeten retirement benefits for the city's management employees after residents widely criticized the plan. Management employees are eligible for retirement health benefits after age 55 if they have worked as managers for the city for 15 years, or after 30 years, regardless of age. 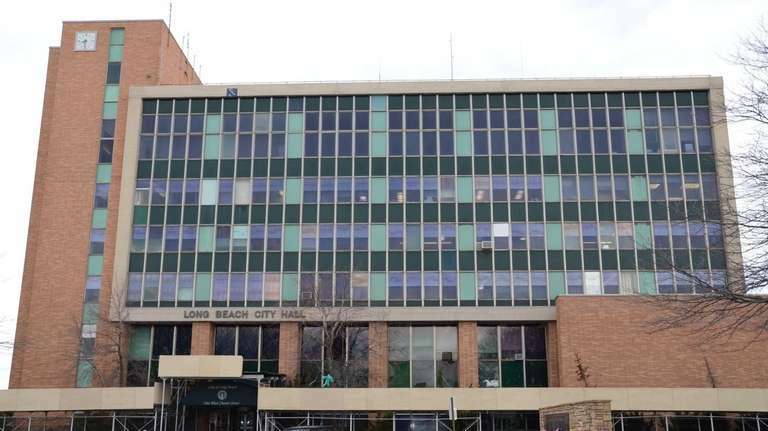 The proposal would have eliminated age requirements and lowered the service time to 10 years, or five years if the employee had also completed five years of employment with New York State, another municipality in the state or the U.S. military. The proposal, drafted by Long Beach's legal department, was scheduled for a vote Tuesday night, but it failed to garner support from Long Beach's five-member city council. The council members would not have benefited from the change. The city's efforts are better spent on recovering from superstorm Sandy and stabilizing city finances, city council president Scott Mandel said in a statement. "The City Council does not support the proposal and has asked the city manager to look at alternative methods for retaining and recruiting top talent as the months and years go forward," Mandel's statement said. Every city and town on Long Island offers retirement health benefits to management and union employees, but minimum service requirements and employee contributions vary. City Manager Jack Schnirman said last week that the Long Beach proposal was unlikely to see a vote without major revisions. Monday, city council members said they weren't certain they wanted to see the proposal back at all. "We're grateful for hardworking folks, but right now it's not the right timing for something like that," Councilman Len Torres said. Residents who opposed the move said they were glad the city backed away from the proposal, which they had criticized as too generous. "I'm glad they're not going to do it. These guys already get reasonable benefits, in my opinion," resident John Bendo said. The change would have applied to 19 current Long Beach management employees, who must pay 10 percent of the cost of their health care benefits while working and in retirement. Long Beach seeks to sweeten retirement benefitsLong Beach wants to lower the amount of employment time managers need to retire with ... Editorial: Long Beach benefits plan far too expensiveLong Beach is flirting with a wrong turn.